In my pre teens I caught the equine bug as a horse crazed little girl. I found out I was a bit competitive with barrel racing and found competition even in leisure bare back rides in the woods on the Northern California Coast. Being the first to catch a neighbor’s horse in the pasture then racing around the trees was my game. I can remember brat horses trying to rub us off on the next tree, or stop short at the next obstacle. I learned one thing from all that – how not to fall off. Somewhere and somehow I had a tragic accident that blocked out my teen horse activities. It was like my teen horse experiences never existed. Grew up, had twins, got married, purchased some land and of course wanted to get a horse. It was then I learned what happened from my sister. A “rescue thoroughbred” was calling my name. I talked my husband into getting him for me. His name is was Lil Native. This single horse taught me so much. I owe it all to him. One afternoon I was seriously hurt and in traction before I knew it. I lost that jump on and ride attitude. I was now ok on the ground. So I went through some local trainers and then found a clinician named Dennis Reis who I made my temporary hero for many reasons. He communicated with Lil Native so well. I went through his endorsement programs almost to the last freedom level and decided to move on. Even after Reis I was still unable to ride Lil Native without some fear in the background. I was able to ride other horses with a higher level of knowledge. I just needed more. Reis helped me. However, he just left out important pieces. I migrated from clinic to clinic – working with Richard Winters and a few others. I found a new hope when I rode with John Lyons. I then pursued a horse training credential with his daughter Brandi Lyons. She related to me at a new level. I rode Lil Native and broke out a baby (Agent K) in her lower level trainer’s certification program. I have come to realize it’s through hard work and determination, not money or want, where you will attain the confidence we all desire. You must have the whole package if you want to overcome a fear that is embedded in you so deep. Fear is a respectable emotion that deserves all of your attention and focus, it will also keep you alive. If you are going to move forward you must learn how to welcome your fear and use it to help you become a safer rider. And learn sometimes it’s OK to say no! I jumped several levels of understanding when I went directly to Brandi’s trainer – her brother Josh Lyons. It is amazing when you encounter an actual horsemen with clarity of thought. The cloudiness and missing steps from my prior trainers were finally brought to light. Finally, through Josh Lyons I was presented with a new language, one to clearly communicate with my horse. Being an education junkie is paying off. 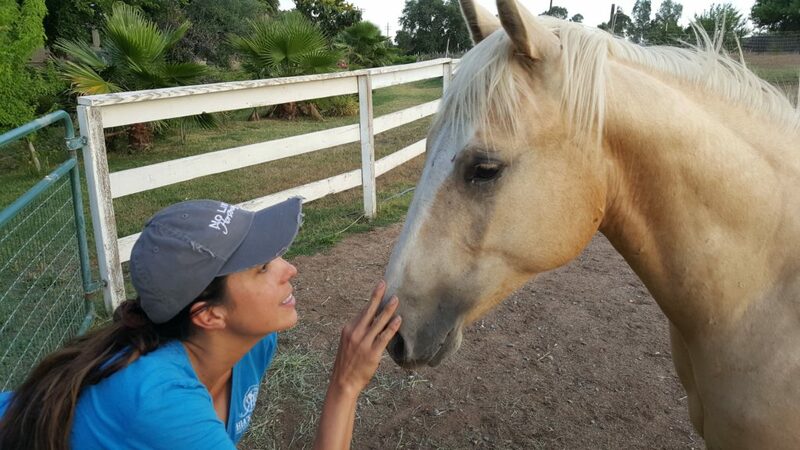 I will continue to soak up all I can, and pass on my interpretation and understanding as I’ve now become a confident handler and horsewoman with my own personal understanding on teaching, fear, confidence, and desire to connect. I would love the opportunity to help you, and your beloved partner.